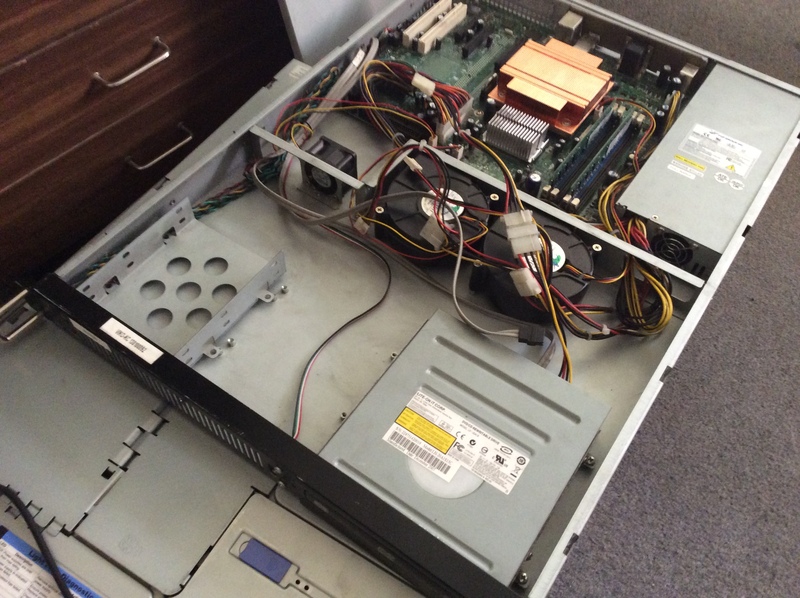 Print your … spare server part! I’ve got some pretty old “server” here and it’s disk said goodbye to me a few weeks/months ago. I finally found some time to clean it up – clean all the dust inside, apply some toothpaste thermal paste to the heatsink and replace the disk. Unfortunately i didn’t take a picture of how awful it looked before, but here’s a cleaned up version. As you can see – it has a bracket for one disk, and there’s space for another one. It worked with one disk so far, but it would be a waste of space not to add the second one – the disks are so cheap now. I tried to search for the other bracket but couldn’t find it anywhere, and i couldn’t find a spare one to buy at the local stores. I was a bit skeptic about the real use of 3d printers in homes / offices, as the printed examples i usually see are keychains or other useless stuff, but now i might change my mind. maybe.